If you are looking to add some serious protection to your iOS devices then the Gumdrop Drop Tech Series might well be worth a look. The new Gumdrop Drop Tech cases have been designed using several different layers and are now available for the iPad 2 and iPhone 4S. 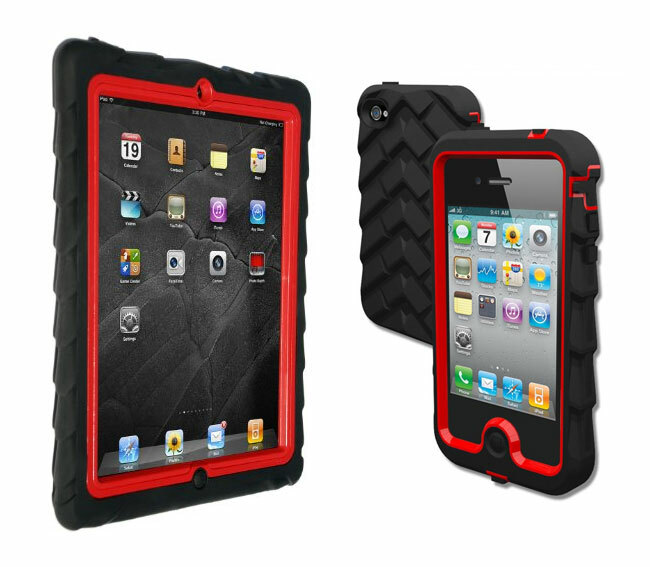 The layers includes a polycarbonate frame that provides rigidity to the case and into which you slide your iPad into, which is combined with a screen protector that is in its own frame and those are the surrounded by a thick silicone skin covers the frame and back of the iPad, providing drop protection and extra grip. Watch the video after the jump to see the Gumdrop Drop Tech iOS Cases put through their paces. Gumdrop Drop Tech Series iPhone 4 case is available in five colours, including black/red, black/white, black, military green and pink/white for $45 The iPad 2 case is also available for $60 or $70 in military green.